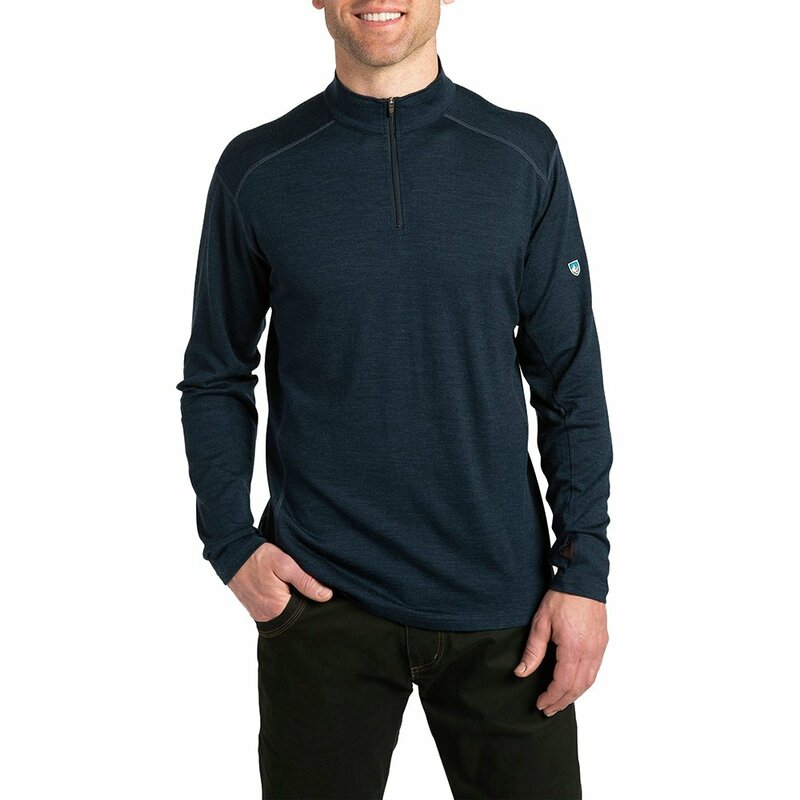 A tough, stylish sweater that's as comfortable gathering firewood as it is sitting by the fireplace, the Kuhl Skar 1/4 Zip Sweater is made from comfy merino jersey wool. This wool is super-soft, warm and versatile, keeping you prepared for all types of winter adventures. It's also easy to wash. Stealth thumb loops add a little extra comfort and coverage if and when you want it.